I've been an Evernote user for a long time now. I've watched it grow from a simple way to take and organize notes to a powerful work tool. I've written many reviews in Evernote (for easy cross-device sync), and I don't see that changing any time soon. With the latest update, finding relevant content to the piece you're currently working on is even easier. 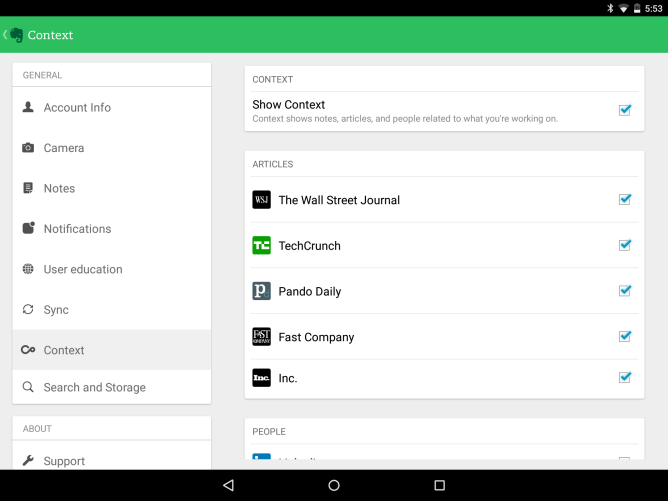 With a Premium Account ($5/month), Evernote will offer relevant suggestions from The Wall Street Journal, TechCrunch, Pando Daily, Fast Company, and Inc. according to what you're currently working on. It will also offer suggestions from previously-written and shared notes. These suggestions will appear at the bottom of the open note on both Android and Windows, and the articles can be opened and/or saved with a quick tap. All of this happens behind-the-scenes, and the user's personal data isn't shared with the original content publisher. 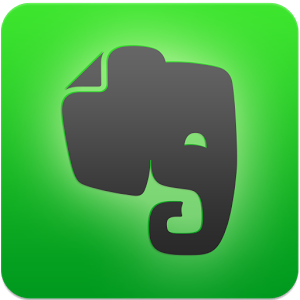 Hopefully other sources will be available soon, but if you're an Evernote user, this is a great start.